The answer is simple: water at the most extreme temperatures exists in a state described as “ supercritical ”, where it behaves as neither a true liquid, nor a true gas, and is capable of retaining a phenomenal amount of energy. Supercritical water can generate up to ten times more power than conventional geothermal sources. Iceland is a nation built on about 130 volcanoes resting above a divergent plate boundary which brings a continuous supply of hot, fresh magma up from the mantle just a few kilometres below. Icelanders have capitalised on this, and now generate more than a quarter of their electricity through geothermal , accessing boiling temperature water within 2km of the surface. The Iceland Deep Drilling Project (IDDP) was set up to find out what happens at depths below 4km in the Icelandic crust. In 2009, during their first drilling leg, they accidentally hit a magma pocket , and eventually stabilised the system to create the hottest steam ever produced in geothermal exploration: 450°C. The absolute biggest geothermal electricity producer in the world is the US, with around 3,450 MW of capacity in 2015 , largely centred in California (a typical nuclear power station produces around 1,000 MW). Next up are the Philippines and Indonesia, at 1,870 and 1,340 MW respectively. Mexico and New Zealand trail at a little over 1,000 MW each, and Iceland (665 MW) comes in seventh behind Italy (916 MW). Across most of the planet the hot material is simply too deep down to be economically within reach. The temperature of the Earth’s crust generally increases by 25°C for every 1km depth ; for geothermal to be economical that value must be nearer 50 or even 150°C/km. 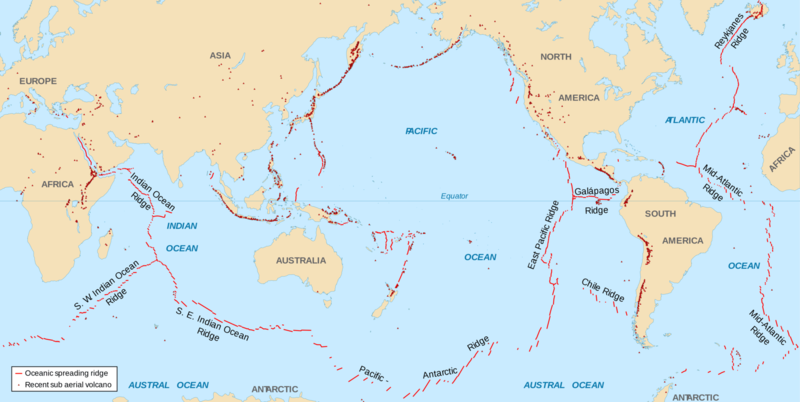 That means you need to be near something geologically unusual: either thinned crust (so you’re closer to the hot mantle), or features such as plate boundaries or volcanoes which can direct heat or magma toward the surface.